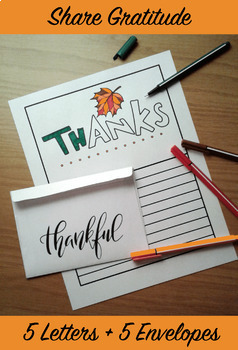 It's important to express gratitude all year long, but it seems more obvious when Thanksgiving is just around the corner! 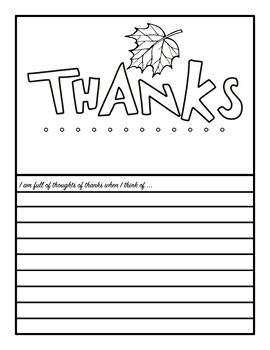 You just find the perfect pack to encourage your students to share gratitude with all the people important to them. 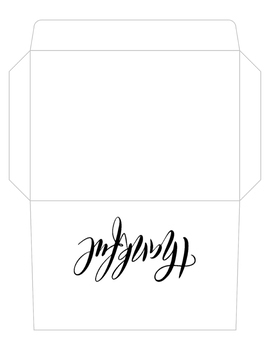 4 matching letters + 1 blank. This is a great creative exercise that combines free writing, expressing emotions and coloring! I was inspired by Thanksgiving to create this pack, but you can use what's inside whenever you feel the time is right to share some gratitude. Note: When unzipped, you'll get your files as jpeg images.